TechChill is all about connections, and we want to help you make better ones by increasing your visibility. More visibility leads to better meetings, deals, and leads. And that is where Matchmaking comes in. 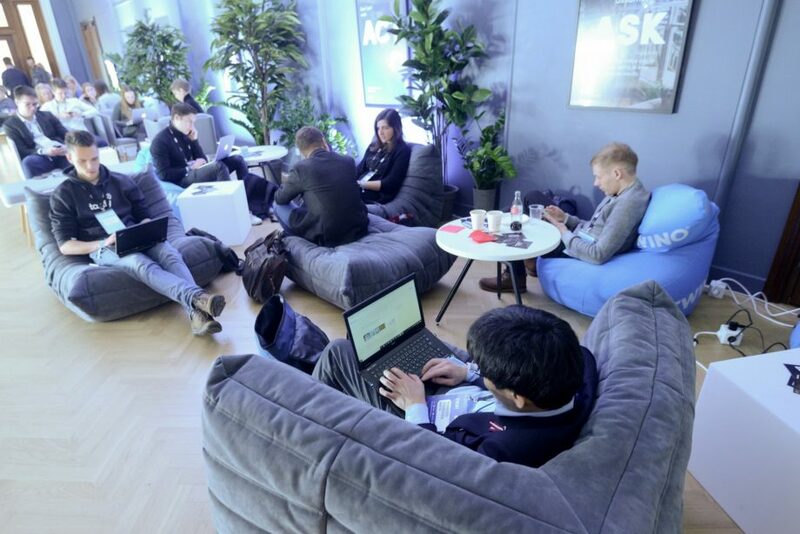 At TechChill, two of the ways for startups to be more visible is through matchmaking and through the networking app. And they are not the same thing. 1// The name and description of your startup will be included in the database that gets delivered to the investors before TechChill. This process is facilitated by our team who manually match the relevant parties. To give you an example, investors operating in the impact space will be matched with impact startups, or any area they deem interesting and investable. The Networking app [to be launched soon] – the networking app is different than matchmaking in a sense that we, as TechChill, do not make the connections, but it is the attendees themselves, who try to establish a connection and arrange the meetings. As a startup, you should join matchmaking AND register on the networking app to approach potential investors, your future Co-founders and/or employees. How can my startup be included in the matchmaking process? Buy your Startup pass before February 7, fill in your application (all of it!) – and we’ll take care of the rest. Incomplete profiles are not considered in the process. If I buy my pass after February 7, can I still take part in Matchmaking? The deadline to be included in the Matchmaking process is February 7. Afterward what you can do is register in the Networking app and search for relevant attendees yourself. If I am included in the Matchmaking, Can I also register in the networking app? Yes! Matchmaking is just one piece of the puzzle. All attendees are welcome to join the networking app once it’s launched to be searchable by the other attendees, investors or corporate attendees. It’s a way to arrange meetings and make connections. If I am included in Matchmaking, do I automatically get included in the networking app? No, you should create your profile on the networking app too [to be launched soon, stay tuned]. Get your startup pass here before February 7 to be included in matchmaking.